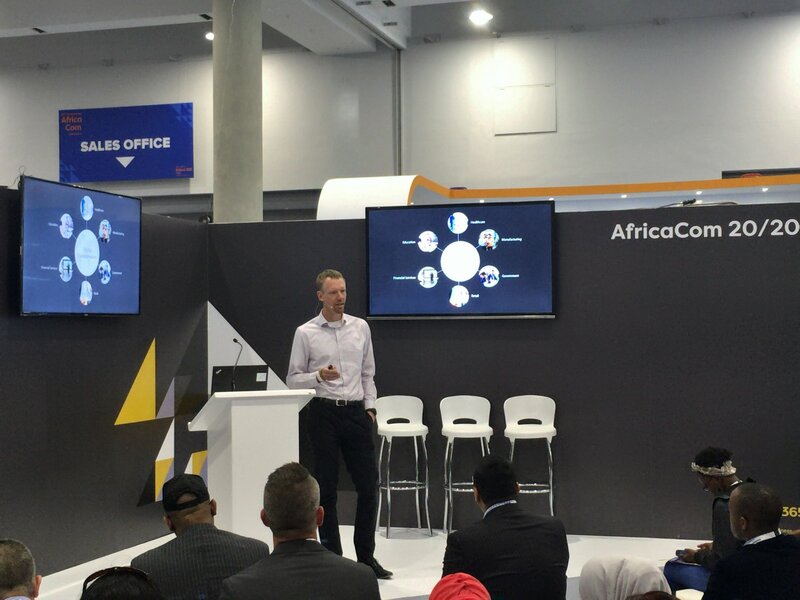 At AfricaCom 2017, Microsoft shared on Digital Transformation and how it can accelerate the growth of African Businesses. Lillian Barnard, Director for Public-Sector at Microsoft South Africa. 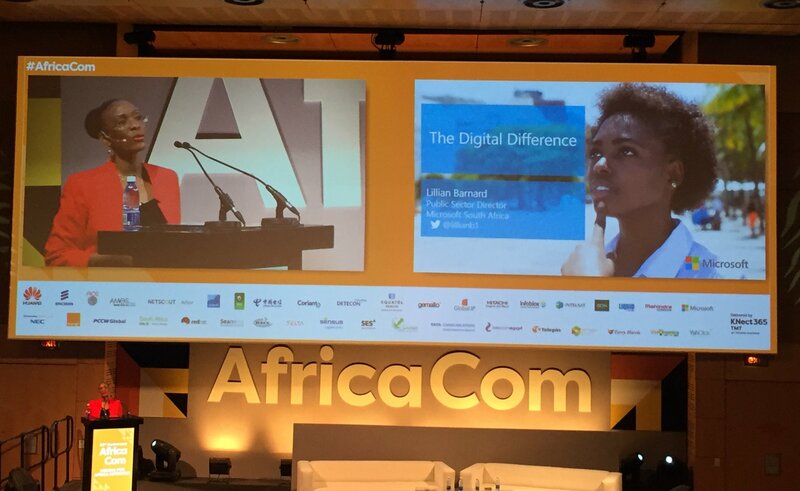 shares on the ‘Digital Difference’ during the Vision for Africa keynote session. AfricaCom is one of the continents focused telecommunication, technology and media event. With this year’s being the 20th and themed around the 4th Industrial Revolution. Participating strongly in this years event, Microsoft sponsored the new Technology Arena. The new Technology Arena showcased innovations and technology solutions from start-ups from across the continent. It also housed the Africa 20/20, AHUB sessions and Innovation stage. Microsoft says Digital transformation is critically important to the success of businesses across Africa and we are focused on helping our customers successfully achieve their digital business transformation. Powered by our people and our mission to empower every person and every organization on the planet to achieve more, we have been driving cloud innovation and growth across Africa for a number years. We also recently announced a significant investment into data centers in the African region, which expands on our existing investments aimed at: unleashing innovation to solve some of the biggest problems facing humanity; building and developing small businesses; and alleviating unemployment and poverty on our continent. Hitting it off on the first day with the 20/20 Digital Transformation, IoT, AI keynote session, presented by Clifford De Wit. Clifford also Chief Innovation Officer at Microsoft South Africa spoke on Microsoft’s Cloud offering. An intelligent cloud with an intelligent edge and shared on what is being achieved with the cloud. “We are excited to have these data center capabilities in Africa because it connects the world to Africa and Africa to the world. We will be able to export solutions from the continent to the world”. He talked about express routes and partnerships with companies like Liquid Telecom. “express routes allows us and our customers to connect between our data centers with very low latency and very high speed”. The executive think tank round table event focused on infrastructure in Africa. Led by Microsoft SA’s Cloud and Enterprise Business Group lead Ravi Bhat. Conversations centered around infrastructure limitations in Africa, challenges presented by lack of fibre and low grade connectivity in many areas and how Microsoft’s wide scale data centre roll out will impact the enterprise market in Africa. Finally on day 3, Lillian Barnard, Director for Public-Sector at Microsoft South Africa shared on the Digital Difference and the Transformation driven by the cloud during the Vision for Africa keynote session. 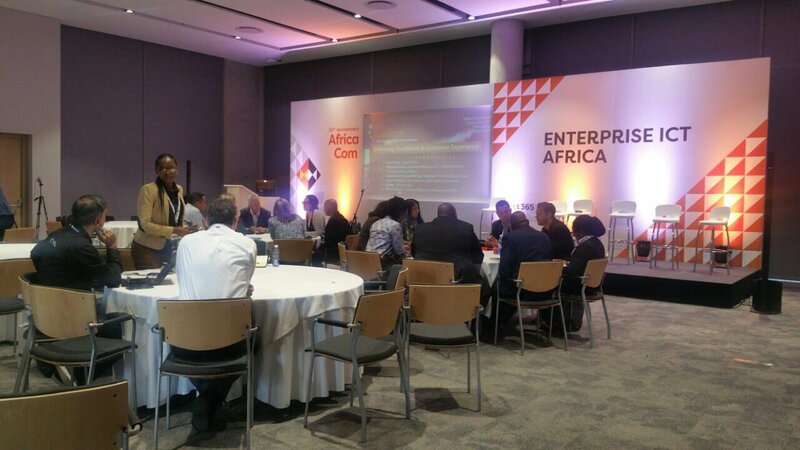 What AfricaCom also did was to provide a platform for people in diverse sectors and ecosystems to come together, share ideas, network, sign deals, and forge healthy relationships.